What are you thankful for? It’s easy to go through this holiday focusing on things like food, family, and friends, but it really does take a conscience effort to actually be thankful for what we have been given. We have been so blessed in the United States, and yet we rarely even notice the many blessings God has given to us. You know the first Thanksgiving was really about food security. 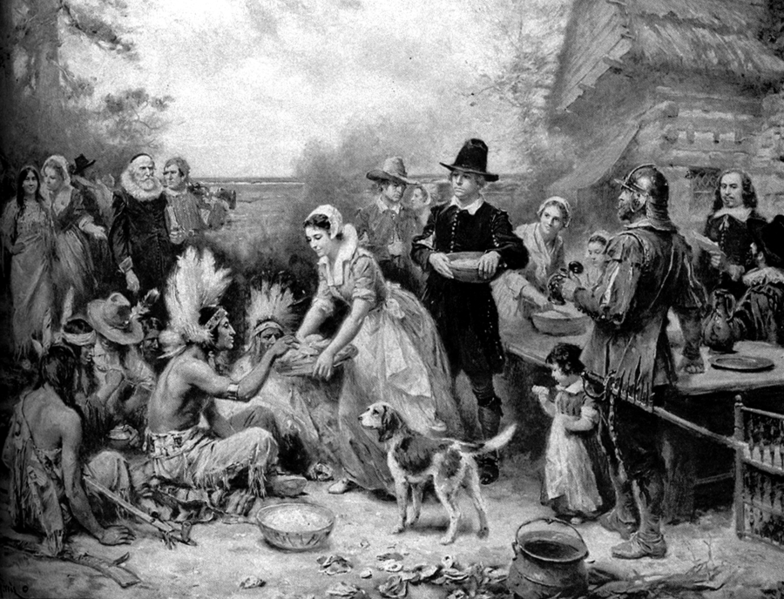 The pilgrims gave thanks to God for all the food they had been given that year. The first year the pilgrims arrived in the New World they nearly starved to death. The following year, the pilgrims were able to cultivate the land, and were saved from starvation by the bountiful harvest. As a result, the pilgrims had a day of thanksgiving to thank God for the food they had been given. Yet how many times have you been thankful for your food? I say we rarely ever give joyful thanks for the feasts we eat every thanksgiving. In the United States, we seldom think about where our food comes from, and we never think about food shortages. We don’t have to worry about food supply issues, yet for many other nations in this world this is a daily anxiety. To prove this point, just go to Google and Wikipedia “famine.” The United States will not be on this list of affected countries. Our food supply in the United States is consistent and reliable thanks in part to modern technologies that have made farming more efficient. It wasn’t always this way though in the United States either, during the Great Depression there were widespread food shortages due to the Dust Bowl. The Dust Bowl was a period of severe dust storms that caused major ecological and agricultural damage to the American prairie from 1930 to 1936 (in some areas until 1940). The phenomenon was caused by severe drought coupled with decades of extensive farming without crop rotation, fallow fields, cover crops or other techniques to prevent erosion. Deep plowing of the virgin topsoil of the Great Plains had displaced the natural grasses that normally kept the soil in place and trapped moisture even during periods of drought and high winds. During the drought of the 1930s, without natural anchors to keep the soil in place, the soil dried, turned to dust. No crops could be grown in the dusty soil. Millions of acres of farmland became useless, hundreds of thousands of people were forced to leave their homes, and many people went hungry. We are so fortunate to be able to eat every day, and not have to worry about whether there will be food or not available for our next meal. Food security is what has allowed our country to prosper. With a safe food supply, people do not have to work in agriculture anymore, but instead focus on developing new technologies like computers and the iPad. So this thanksgiving, I am thankful for the food security we have in the United States. God has blessed us immensely; let’s not take it for granted this year, but seriously give thanks for our abundant food supply!